Del Rey Avocado Company paid $7.8 mil for a 41.9k sf ($186/sf) industrial property in San Diego County. 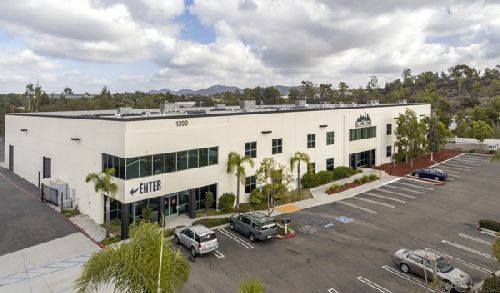 The property, located at 1390 Engineer St, south of Hwy 78 off Sycamore Ave in Vista, was sold by Vista Carlsbad, LLC, a private southern California-based investor. The freestanding industrial building sits on 3.5 acres within the North County Industrial Park and offers the opportunity for outdoor storage. The property had previously been used as a child entertainment center. Featuring a modern design, the building includes above-standard clear heights of 24’ to 28’, nine grade doors, four dock doors, and high-quality truck loading/circulation. The site is in proximity to the 78, I-5, and I-15 freeways. Roger Carlson, Adam Molnar, and Greg Lewis represented the seller in the transaction. CBRE’s Robert Gunness repped Del Rey Avocado Company, a family run business based in Fallbrook, CA. The company, in operation since 1969, packs California avocados from San Diego to San Luis Obispo. “Low vacancy and limited supply of buildings with this amount of excess outdoor space created high demand for this property,” noted Carlson. The San Diego industrial market has been in high demand and closed 2018 with only a slight bump in an otherwise overwhelmingly positive year, with year-to-date net absorption more than 1 msf in the positive, according to CBRE research. Leasing activity reached 12.9 msf for the year, exceeding the volume reached in 2017.